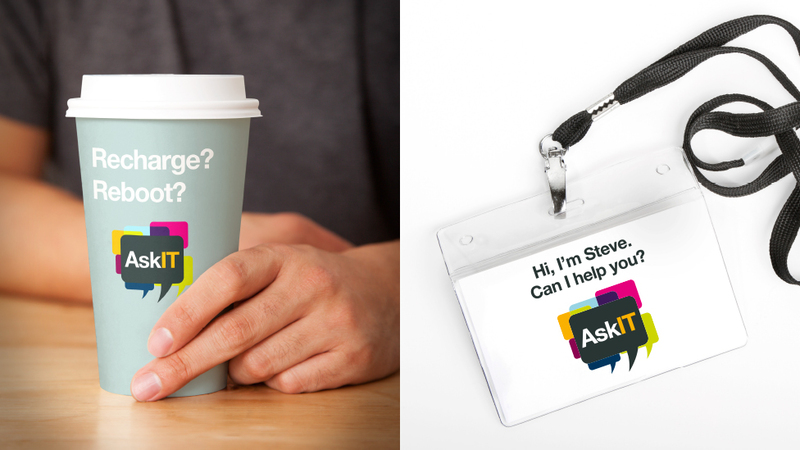 This effective brand strategy uses design to change perceptions of AstraZeneca’s IT department and also to boost efficiency, increasing awareness amongst employees of the support services offered by the team. 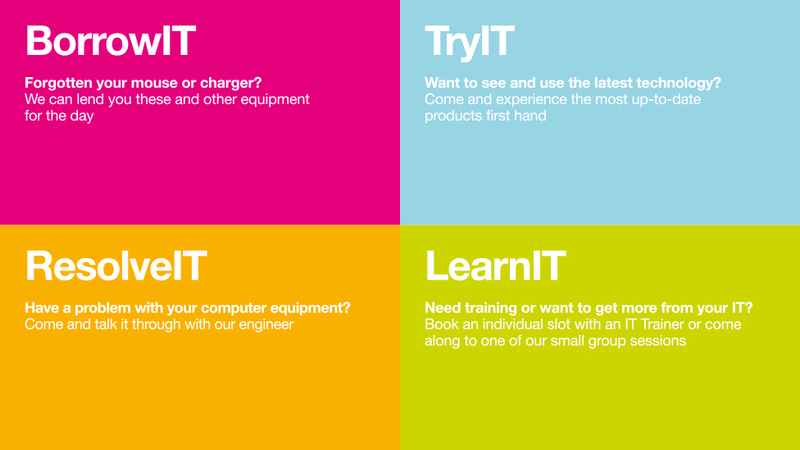 IT departments are often perceived as rigid teams who may not always offer solutions straight away. 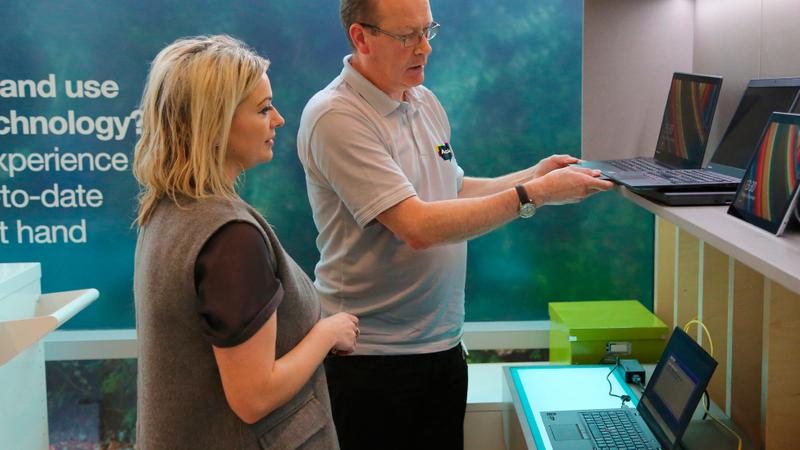 As part of AstraZeneca’s aim to “be a great place to work”, our client wanted to change employee perceptions of their global IT department and increase efficiency by encouraging more staff to use the services offered by their IT colleagues. 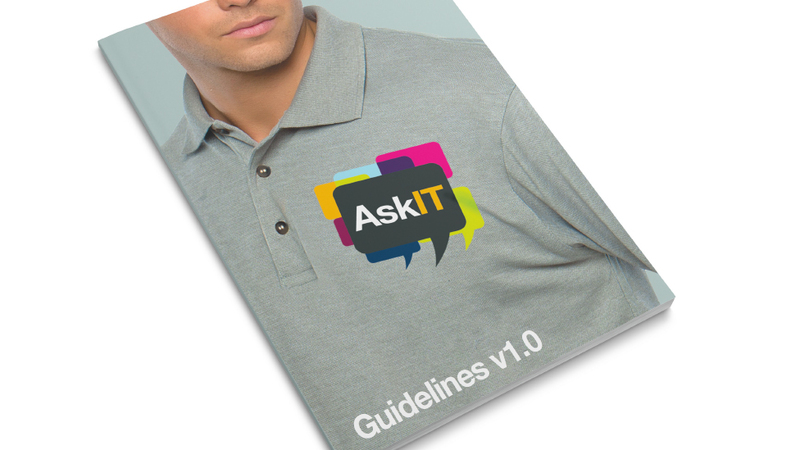 To achieve buy-in from everyone and maximise employee engagement in the initiative, we needed to completely change how people saw the IT team. The approach needed to be flexible, as staff requirements would vary from location to location, and it needed to change old attitudes. To create a brand strategy that could be rolled out and adopted globally, we needed to re-design the company IT experience from the ground up. 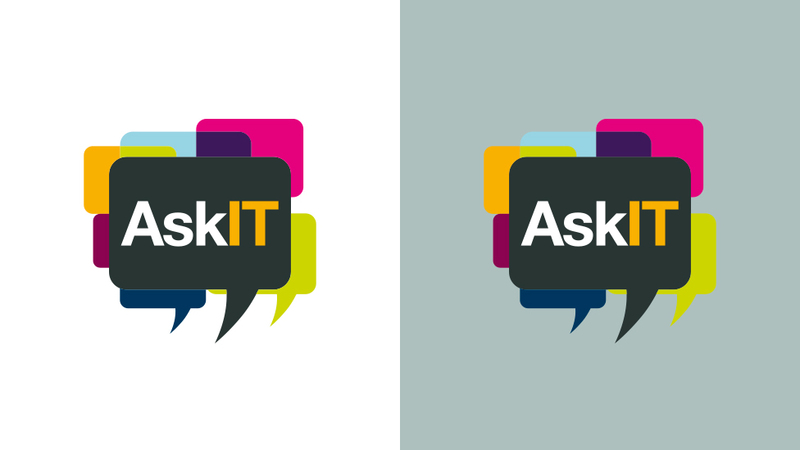 The AskIT identifier is made up of colour-coded speech bubbles representing the variety of questions IT teams face, with the overlap effect evoking the transparency of the service. Round edges indicate a softer, more approachable experience, based on collaboration. Each of the four sub-area names is described using a Q&A format, representative of conversations between IT and the colleagues they help. The adaptability of the brand comes to life when applied to the diverse AstraZeneca environments, always aiming to blend in to ensure everyone embraces the initiative. 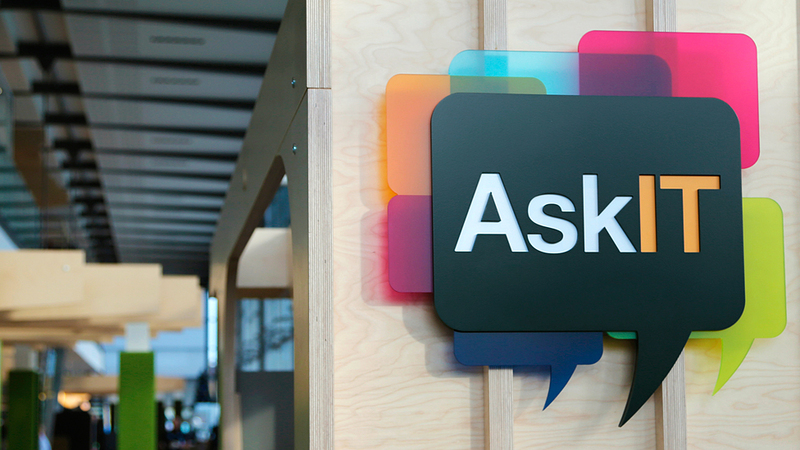 Colourful window vinyls further reinforce the idea of transparency; wood reflects the tactile, warm, approachable feel of the AskIT brand; aluminium offers a light functional approach for the mobile solution. 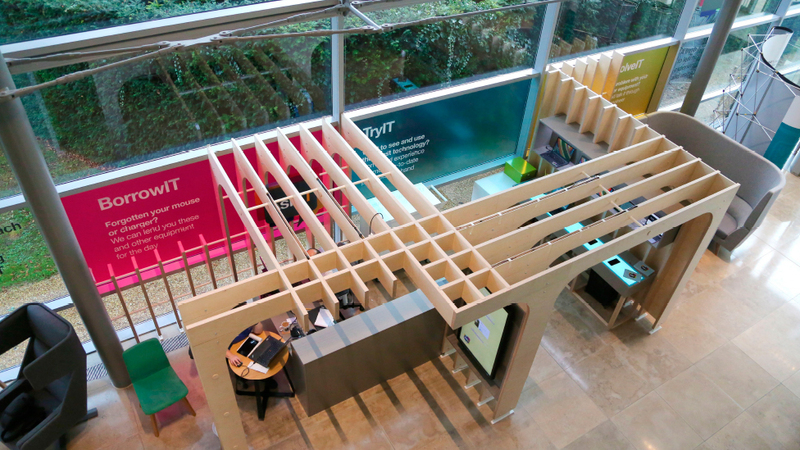 All designed to integrate, sitting naturally within the AstraZeneca sites, welcoming people into a familiar area. 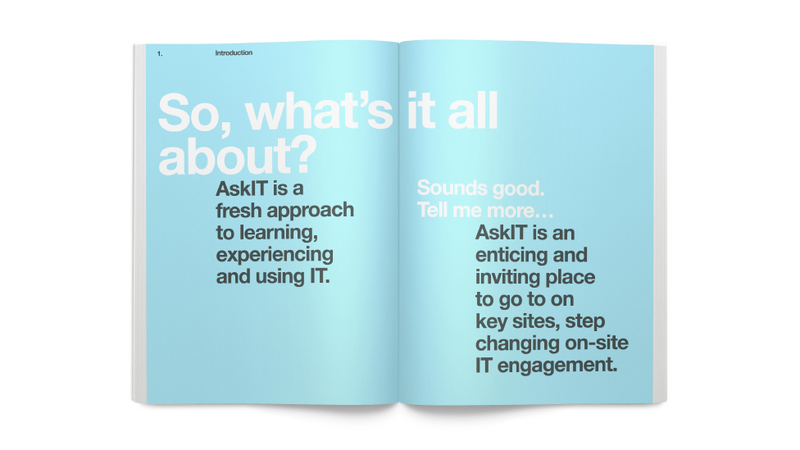 Using the conversational and approachable qualities of the brand, we developed fresh, easy to follow guidelines for a wide range of global suppliers and AstraZeneca teams to develop an AskIT space. 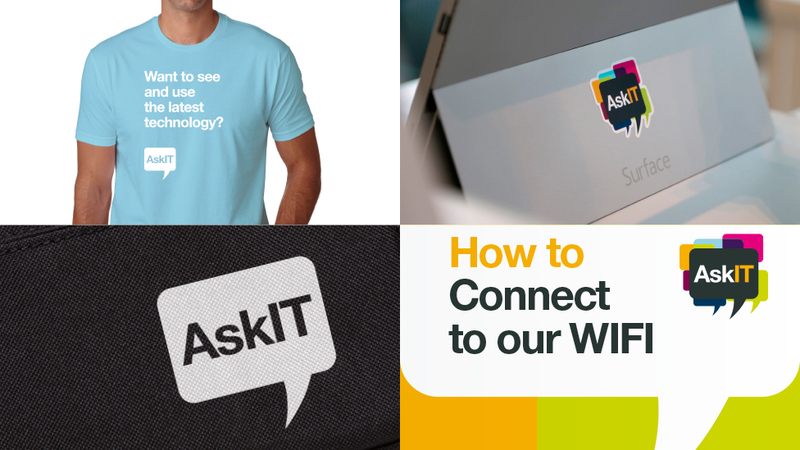 We also produced an instructional video showing how quick and easy it is to set up the mobile solutions. 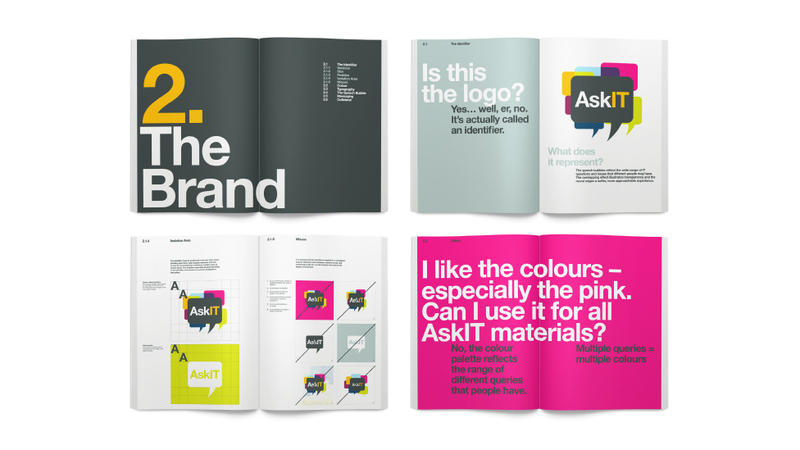 Collaboration is also at the core of the new branding strategy, as we worked closely with AstraZeneca’s preferred suppliers Nochintz (interior designers) and JLL (AstraZeneca’s Global Real Estate Advisory supplier). This close collaboration ensured that the design can be easily adapted to the different locations and spaces allocated. Initial concepts received a phenomenal response, and we have been entrusted with guarding the brand and advising world-renowned architects Herzog & de Meuron, who were commissioned to build AstraZeneca’s Cambridge site. 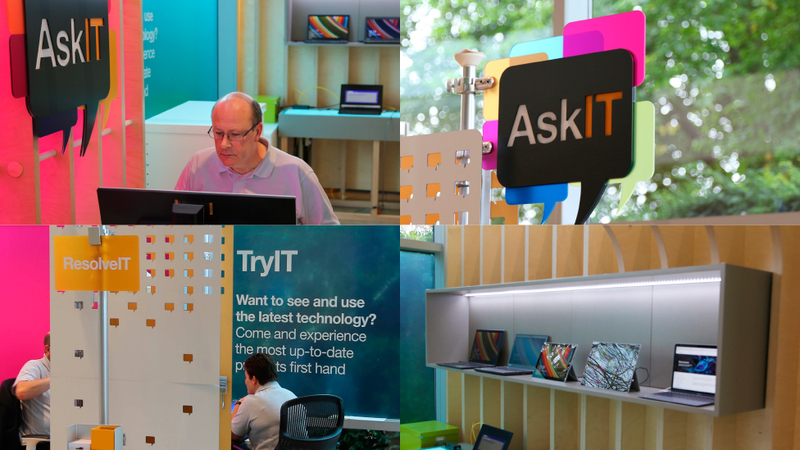 The new brand has already been launched in multiple AstraZeneca locations, and will continue to roll out globally.